Label: Light In The Attic Records. 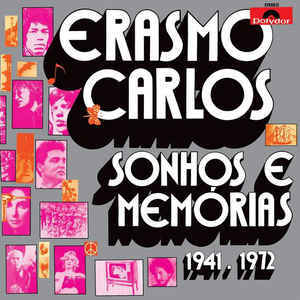 When Sonhos E Memórias 1941-1972 was released in 1972, this was the last instalment in a trio of albums that featured Erasmo Carlos at his creative zenith. His bubblegum beginnings seemed a long time ago, and he was a much more sophisticated artist than back then. He had reinvented his music, but neither 1970s nor Erasmo Carlos E Os Tremendoes 1971s Erasmo Carlos had found an audience despite their electricity. It seemed Erasmo Carlos was trying to appeal to the widest possible audience, by incorporating Bossa Nova, folk, funk, psychedelia, rock ‘n’ roll, samba-rock and soul. This was the case on Sonhos E Memórias 1941-1972, where lightning struck again as the album failed commercially. Erasmo Carlos was left shaking his head as he knew that he had released a carefully crafted groundbreaking album. Sadly, it took thirty years before record buyers realised this and the trio of albums Erasmo Carlos released between 1970 and 1972 found the appreciative audience that they deserved. By the time Erol Büyükburç’s third album Hop Dedik was released to critical acclaim in October 1976, he was one of the biggest names in Turkish music. He was also a flamboyant showman, who looked like, dressed like and conducted himself like a star. Erol Büyükburç wore lame suits and was greeted by a legion of loyal fans every time he took the stage. Alas, they weren’t won over by Hop Dedik, a truly eclectic album which incorporates elements of traditional Turkish music, disco, funk, pop, psychedelia, rock and soul. There’s also Anatolian pop and rock influences throughout Hop Dedik where the music of two continents melt into one. They’re part of a career-defining cult classic that features flamboyant showman Erol Büyükburç at the peak of his powers. 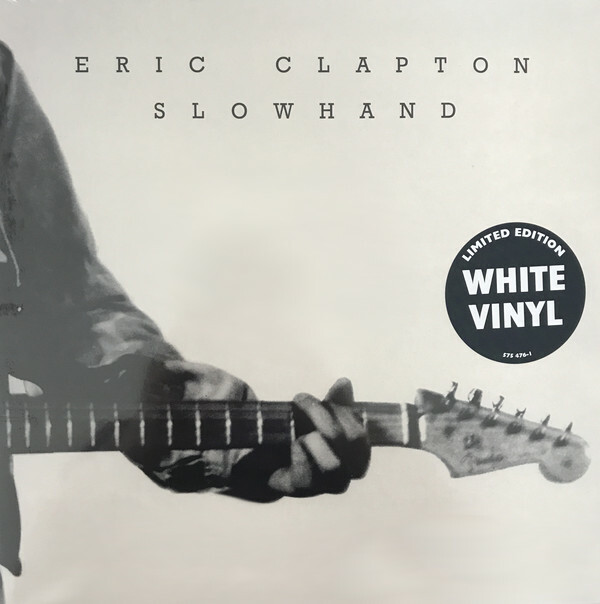 When November 1977, Eric Clapton released his much-anticipated fifth album Slowhand, the reviews were mostly positive. Critics were won over by an album where Slowhand’s playing was much more subtle and understated on an album where he sometimes laid bare his soul. Slowhand featured future favourites Cocaine, Wonderful Tonight and Lay Down Sally, and was certified gold in the UK and triple platinum in America. Nowadays, Slowhand is regarded as a classic album and one of Eric Clapton’s finest albums. Fleetwood Mac-Tango In The Night. 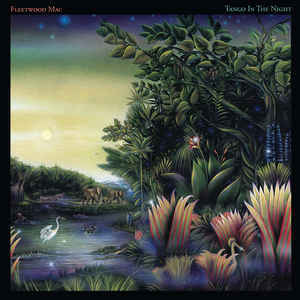 Tango In The Night, which was released in April 1987, was the fourteenth album by Anglo-American rock band Fleetwood Mac. It had started life as a Lyndsey Buckingham side project but became one of Fleetwood Mac’s most successful albums. Not only did Tango In The Night sell fifteen million fifteen million copies, but featured the hits Big Love, Seven Wonders, Everywhere, and Little Lies. Fleetwood Mac’s radio friendly fusion of pop rock and soft rock continued to be a popular around the world. Although Robin Page’s Pyramid Records only released fifteen albums during its lifetime, several other albums had been recorded, but lay unreleased. 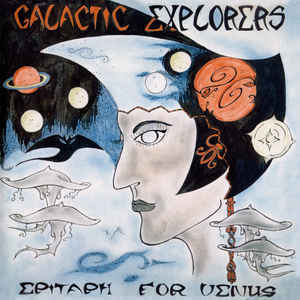 This included the Galactic Explorers Epitaph For Venus, which is a cinematic opus that was variously dark, dramatic, eerie, futuristic, hypnotic, melodic and mesmeric. Other times, sci-fi and otherworldly sounds are added as the Galactic Explorers take the listener on a captivating and genre-melting journey. Although there’s a Krautrock influence on Epitaph For Venus, it’s not as apparent as other albums that bore the Pyramid Records’ name. Instead, Epitaph For Venus showcases a much purer Kominische avant-garde sound that shows a very different sound to the Pyramid Records’ sound. Gandalf-Journey To An Imaginary Land. 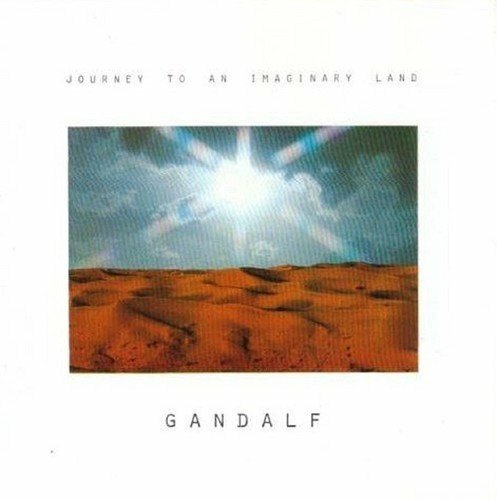 Having heard Gandalf’s 1980 debut album Journey To An Imaginary Land, it was hailed by critics as an innovative and progressive album. It was a fusion of eclectic musical instruments, influences and genres. When they’re combined by Gandalf, the result is a groundbreaking and genre-melting album where listeners embark upon a captivating, mythical and symphonic musical Journey To An Imaginary Land. During the journey, the music is variously atmospheric, dramatic, elegiac, ethereal, futuristic, moody and otherworldly. Alway, there’s a cinematic sound, to this ambitious and accomplished album, as sonic explorer and innovator Gandalf continues on his first Journey To An Imaginary Land. 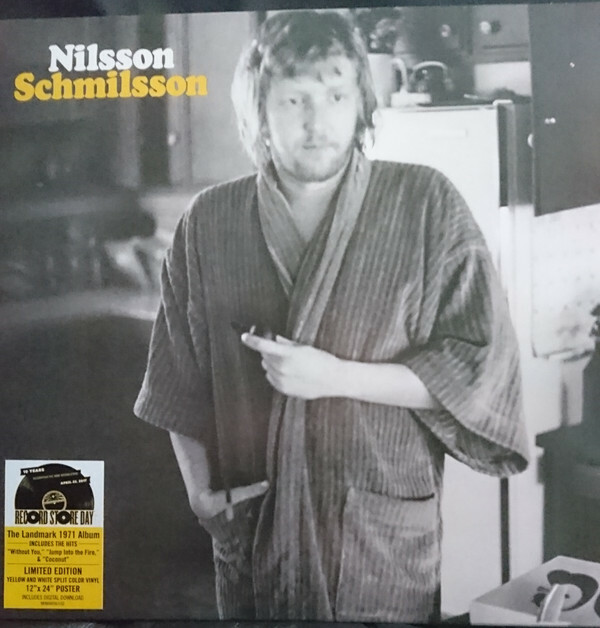 When Harry Nilsson released Nilsson Schmilsson in November 1971, it featured the number one single that became synonymous with him, Without You. Jump Into The Fire and Coconut were also hits and Nilsson Schmilsson reached number three in the US Billboard 200 and was certified gold. This carefully crafted album of pop and rock is now regarded as a classic album, and Harry Nilsson’s finest hour. 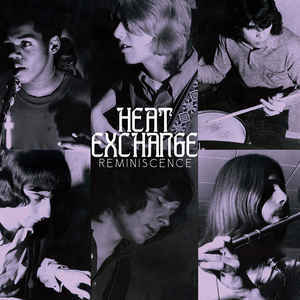 Canadian band Heat Exchange originally recorded Reminiscence in 1972, but the album was never officially released. As a result, nobody got to hear this genre-melting album. Heat Exchange took as their starting point hard rock, and added to the musical melting pot folk rock, funk, fusion, jazz and progressive rock. Heat Exchange switched between and fused these disparate genres on Reminiscence. It showcases truly talented band who recorded an almost flawless album of hard rocking, catchy, complex, melodic and memorable music. Reminiscence is a reminder of one of Canada’s great lost groups in the early seventies, looked destined for greatness, Heat Exchange. Leg End was released in August 1973, and marked the debut of English avant-rock band Henry Cow. Critical acclaim accompanied what was an ambitious and innovative album. 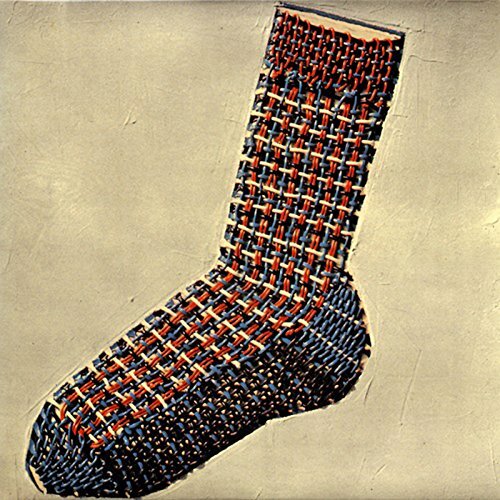 It found Henry Cow combining eclectic selection of influences, including avant-garde jazz, experimental rock and progressive rock on this captivating musical fusion. This was the start of Henry Cow honing their unique and inimitable sound on five albums released between 1973 and 1979. However, for many critics Leg End was Henry Cow’s finest album. 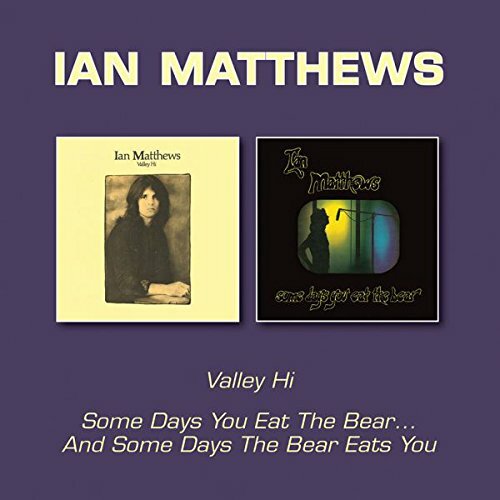 Ian Matthews-Valley Hi and Some Days You Eat The Bear… Some Days The Bear Eats You. Having fulfilled his contractual obligations, Ian Matthews left Vertigo and signed to Elektra Records. Before long, he began work on Valley Hi which was released in the summer of 1973 and was hailed by many critics as a country rock classic. For the followup Days You Eat The Bear…Some Days The Bear Eats You, Ian Matthews switched between the LA country sound, the West Coast Sound and soft rock. The music was slick, polished, radio friendly and bang on trend. Despite this, the album failed to trouble the charts, and Ian Matthews time at Elektra Records was at end. He left behind two albums that ooze quality and showcase a truly talented singer, songwriter and musician. ← THE BEST REISSUES OF 2017-PART 4.